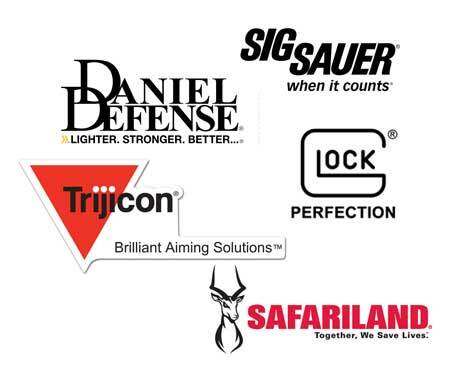 To provide the best in security services, Granco Security in Detroit, Michigan, partners with a variety of manufacturers of firearms, apparel, and safety equipment. You can browse some of our partner sites, and general industry information below. Disclaimer: The following links, websites, and organizations may contain products, services, views and or opinions expressed within that do not necessarily reflect the opinions, recommendations, or official endorsement of Granco Security Services LLC. Located in Detroit, Michigan. 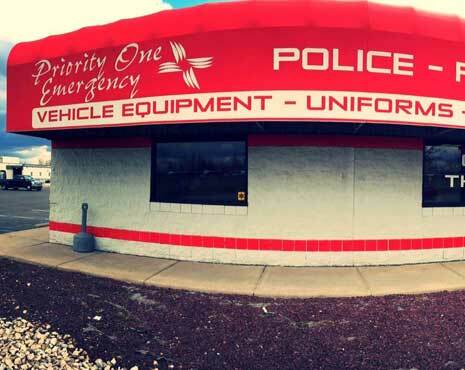 Enterprise Uniform is Michigan's source for uniforms, gear and equipment serving public safety, and private security personnel. 2862 E Grand Blvd, Detroit, MI 48202. Phone: (313) 871-4667. Located in Troy, Michigan. NYE Uniform carries a huge selection of uniforms, gear and equipment. Serving public safety, and private security industry. 1067 E Long Lake Rd, Troy, MI 48085. Phone: (248) 554-0774. The world's most renowned manufacturer of firearms, they have a dedication to superior quality, ultimate reliability, and unmatched performance. This arms manufacturer offers a range of tactical AR-15 firearms, parts, and accessories such as slings and uppers. They are known for providing safe, simple, fast pistols and firearms to members of America's military, law enforcement, security, and law-abiding consumers nationwide. World-renowned for its innovative applications of tritium and advanced fiber-optics, and loacted in Wixom, Michigan, Trijicon manufactures the most advanced riflescopes and sights for tactical applications. The Safariland Group manufactures and distributes top-quality law enforcement and security products including duty gear, holsters, body armor, and tactical headsets. They are a leading manufacturer of high-quality audio, LED lighing, and other visual warning equipment for the automotive and aviation applications. Made in the USA. Specializing in purpose-built apparel and gear designed specifically to enhance the safety, accuracy, speed, and performance of first responders and tactical enthusiasts worldwide. Point Blank is the worldwide leader in high-performance protective solutions for the U.S. Military and Department of Defense, law enforcement, and security professionals. 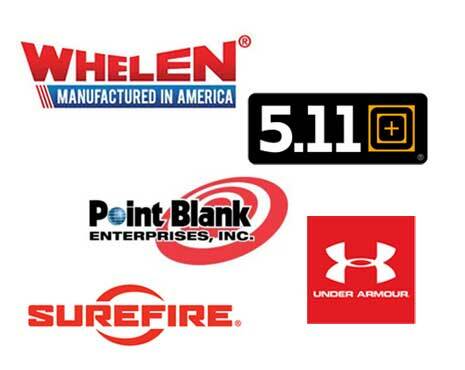 Manufacturer of great products including base layers, footwear, sport, and tactical apparel. SureFire offers the best and most powerful LED flashlights and incandescent flashlights, headlamps, and tactical flashlights.